The selection with the lowest odds, meaning that it's considered the most likely to win. All competitors in an event. A female horse that's four years old or younger. A bonus offered by an online bookmaker when you make your first deposit of money to the bookmaker's betting site. Often it's redeemable only once a certain number of bets, or bets to a specified value, have been made. Abbreviated as FGS, a bet that a particular player will score the first goal in a match. Also referred to as Half Time Result or HRT, a bet on the result of a match at half-time. Also referred to as a scorecast bet, a combined bet on which player will score the first goal in a match and on the final match score. Fixed odds are odds that are guaranteed not to change once a punter places a bet. This protects the punter from any odds fluctuations that occur in the betting market after the bet is placed. A wager on four selections that consists of 23 bets - six doubles, four trebles, one fourfold accumulator and six up-and-down bets. One winning selection guarantees a payout. Horse racing on courses that don't include obstacles or jumps. In the UK, this type of racing is contrasted with National Hunt racing. A forecast is a bet on selections finishing in a specific order in an event. An indication of a competitor's chances of winning an event, based on its past performance. Typically the last five performances are most often used to assess form. A punter who bets based primarily on competitors' past performance. Three sires from which most thoroughbred horses are descended. They are the Darley Arabian, Byerly Turk and Godolphin Barb. An accumulator that includes four selections in different events. Also known as a quad. Fractional odds are odds expressed as fractions that specify the total amount you'll win if you win a bet, relative to the stake you placed. 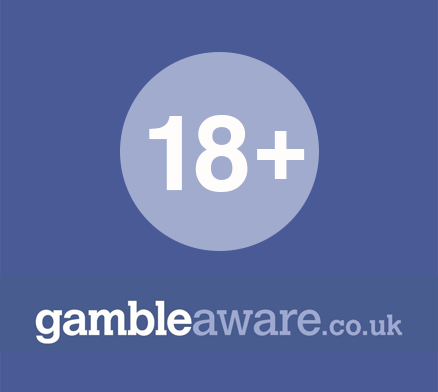 Any combination bet that includes all possible doubles, trebles and accumulators for a given number of selections. A full-time result bet is a straightforward bet on the full-time result of a match. It involves wagering on one of three outcomes – team A winning, team B winning, or a draw between teams A and B. If the bet was on a winner, it will not pay out on matches decided in extra time or by penalties. In horse racing, a standard distance equal to about 200 metres, or just under 219 yards. A mile includes eight furlongs. A juveniles stakes race for which the horse owners have to make continuous payments to maintain their horses' eligibility. A full cover bet is a bet that includes all possible multiple bets , including doubles, trebles and accumulators, for a given number of selections. A full cover bet with singles is just what it says – a combination of a full cover bet , which consists of all possible doubles, trebles and accumulators for a given number of selections, with a number of single bets.